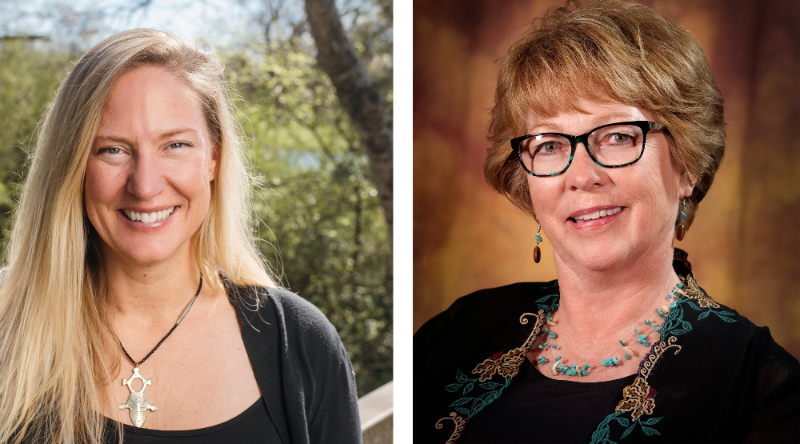 The MSU-Northern Alumni Foundation is excited to announce the 2019 Founders’ Excellence Award recipients: Dr. Leslie Ruyle and Janice Brady. A special ceremony will be held on May 3 on MSU-Northern’s campus. Janice Brady was born in Glendive and raised in Miles City, Montana. She graduated from Custer County High School and worked in Miles City and Billings until coming to work in the Business Office at Northern Montana College in 1971. Over the next 40 years, Janice worked to support the Vice President/Dean of Students, was named the Director of Continuing Education and Summer Session, and finally served as the Dean of Extended University and Director of Summer Session. While working at Northern Janice received an AS in Business Administration, a BS in Secondary Education – Business Education, and an MS in Career Guidance and Counseling. During her time at Northern, Janice was involved in a variety of programs at Northern. She directed the outreach sites in Lewistown and Great Falls and offered student support at those locations, directed a Rural Utilities Services grant that upgraded Northern’s telecommunications systems, and worked with faculty, chairs, and deans to schedule online classes. Janice also directed the Summer Sessions at Northern starting in 1988, helped organize and promote the Cabin Fever Institute lifelong learning workshops for 18 years, and as the Director of Continuing Education she worked with the Golden Triangle Curriculum Cooperative and many school districts to offer continuing education credit courses. Janice also directed two statewide programs housed on Northern’s campus: the Montana Environmental Learning Center and the Montana Motorcycle Rider Safety program. Janice’s community service includes work with the AARP Tax Aide Program, Bullhook Blossoms Garden Club, and serving as a forwarding agent for church missionaries in Cambodia. Janice is married to Randy Bergren and has two sons, Craig and Daniel, one grandson, Blake, as well as four stepchildren, and eleven step grandchildren. Dr. Leslie Ruyle came to Northern to play basketball and volleyball and graduated in 1995 with a BS in Biology and Ecology. She is an ecologist working cross-disciplinarily to create innovative solutions for conservation, conflict, and development. She holds a PhD in Ecology from the University of Georgia, served as a Peace Corps Volunteer in Ghana, West Africa, and has managed university-based initiatives for NSF and USAID. Having lived in four countries and traveled to over 80 countries in her career, she has broad experience in international applied conservation and research including stints at the Savannah River Ecology Laboratory, Smithsonian Tropical Research Institute–Panama, Honduran Coral Reef Foundation, Applied Biodiversity Science Program, Earthwatch, and the Center on Conflict and Development. Her work has been recognized with the UN’s Equator Prize Initiative and Dean’s Award for Interdisciplinary teams. Currently, she is building a program in DRC focused on supporting entrepreneurship in regions of conflict, conservation concern, and limited connectivity (EC3). She teaches at and serves as the Assistant Director of the Scowcroft Institute at the Bush School of Government and Public Policy at Texas A&M University in College Station, Texas. Her parents are Linda and Gary Ruyle. The Founders' Excellence Award presentation ceremony will be held in conjunction with MSU-Northern’s Athletic Hall of Fame induction ceremony starting at 6 pm on May 3 in the Student Union Building Ballroom on MSU-Northern’s campus. Tickets for the event are $30 per person and dinner is included. For tickets and more information, contact the MSU-Northern Alumni Foundation at (406) 265-3711.